*It is rich in antioxidants, neutralizing free-radicals. *It stimulates the production of hydrochloric acid in the stomach to aid in digestion. *However, the alkalizing salts in the lemon will help cause the body to be more alkaline and less acidic. High acidity in your body can stimulate disease. *It is very low in sugar but can act as a mild sweetener in a drink. *It is filled with electrolytes and can make an excellent energy drink before, during, and after workouts. It may even help you become less dependent on caffeine. *It can dissolve phlegm and reduce throat irritations. *Dissolved in a vaporizer, it can help open up the nasal airways. *Drinking a lot of lemon water to keep hydrated will help flush toxins from your system, especially undigested waste in the colon. *If possible, also use the lemon rind, which is rich in potassium, magnesium, and pectin, to support the immune system. 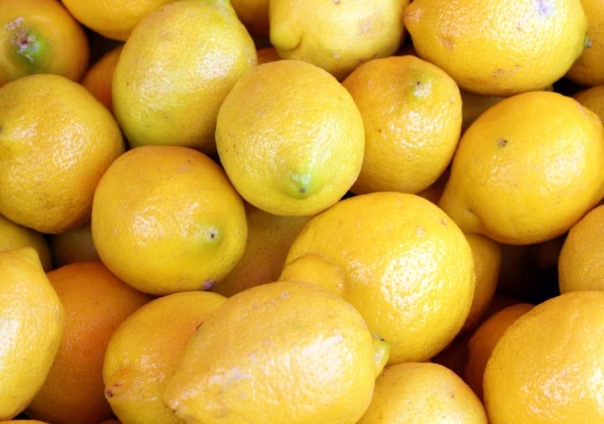 *Lemons help control bad breath. *Lemons are diuretic which can help flush out excess fluid and uric acid, which is a cause of inflammation. 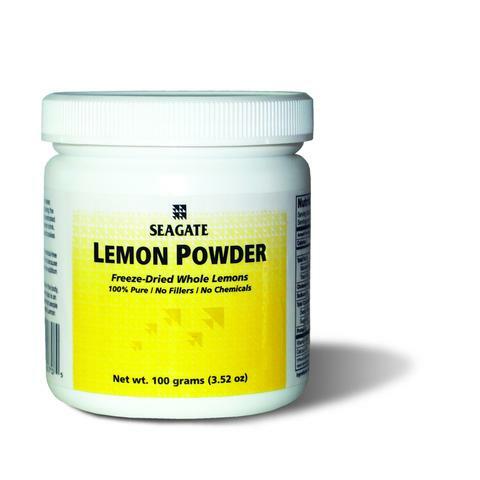 Seagate Lemon Powder concentrate and Lemon Capsules are made from whole lemons, including the zest, skin, pulp, juice and seeds. If you are making lemon juice from the concentrate, remember to flush out your mouth with water after drinking it to get rid of the acids from your mouth that might attack your tooth enamel. Or take it in the capsule form, to avoid this problem. Enjoy the full benefits of this wonderful fruit by using this whole lemon concentrate. Since Richard’s cover photo just changed to this one below, it is worth further explanation. 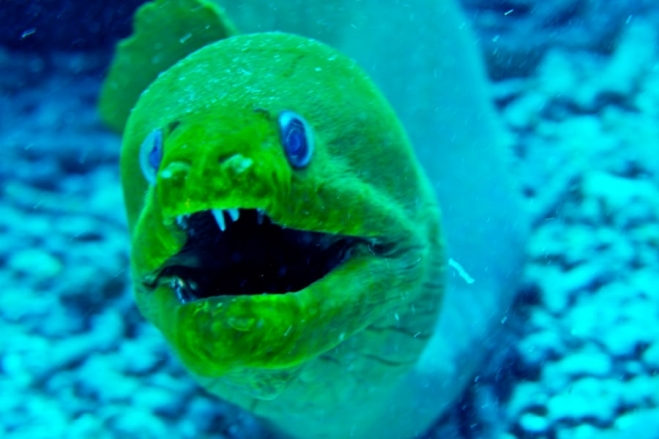 This is a green Moray Eel, very common throughout the world. They live in holes or between rocks in the shallow waters along tropical reefs, though they are also found in cooler waters such as along the California coast. They like to strike smaller fish that happen to pass too close to their hole. They are also very protective of their holes and are not afraid to give a menacing pose face to face with divers that pass too close. For this reason, they are very photogenic, always ready to give you a head shot complete with their open mouth. They are not very dangerous as long as you don’t try to feed them with your fingers. They tend to mistake the fingers for food. This fellow below was inches from the front of the camera lens and enjoyed sampling the taste of the camera housing and my face mask. The white speckles on his skin are sand. He is so close to the camera that you can see the protective membrane covering his eyes.